We loved the views of the sea and the multiple terraces. We loved the old Spanish feel of the flat. The view, the tranquility, the tiny village of Lepe, to which the villa belongs. Location was outstanding, even better than described on the excellent website. 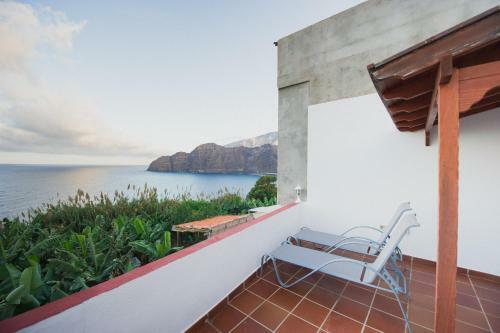 The property was very well provided for a self catering couple, and this area of La Gomera is very beautiful and welcoming. We were surprised at how reasonable food, cafes and other items were considering this is a relatively small island. On the first day we arrived, we had already decided we would want to come back ! 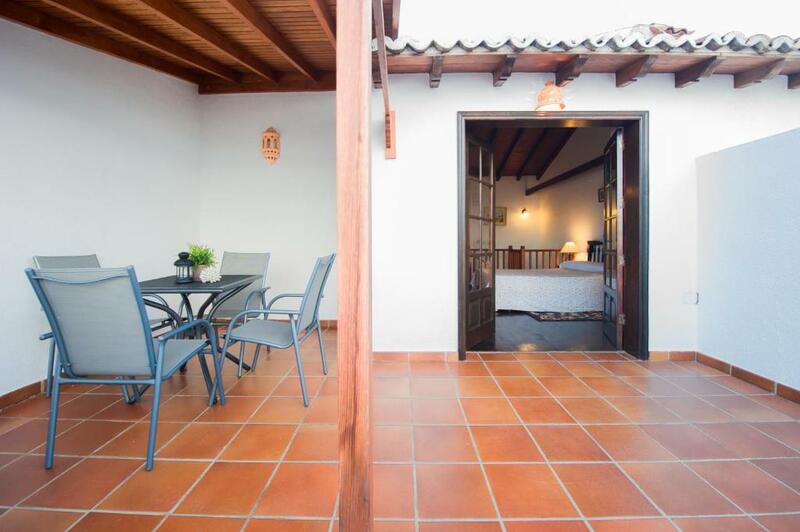 This property has superb views over a banana plantation, to the ocean and has the best possible view to Tenerife island. It is in a very quiet village and the only noise you can hear can come from your neighbors (staying at the apartment next door) - we stayed at this villa twice and every time we had very decent and quiet neighbors - in general the profile of the visitors is mature couples looking for a place to relax and disconnect. During our previous stay the internet signal was weak but this has been drastically improved and the internet now works very well. Fantastic view across to Tenerife from the terrace. Amazing sunrises. Very quiet and peaceful location. Short walk to a swimming beach. Views and views. Sleeping comfort and bathroom facilities. Peace and tranquility. 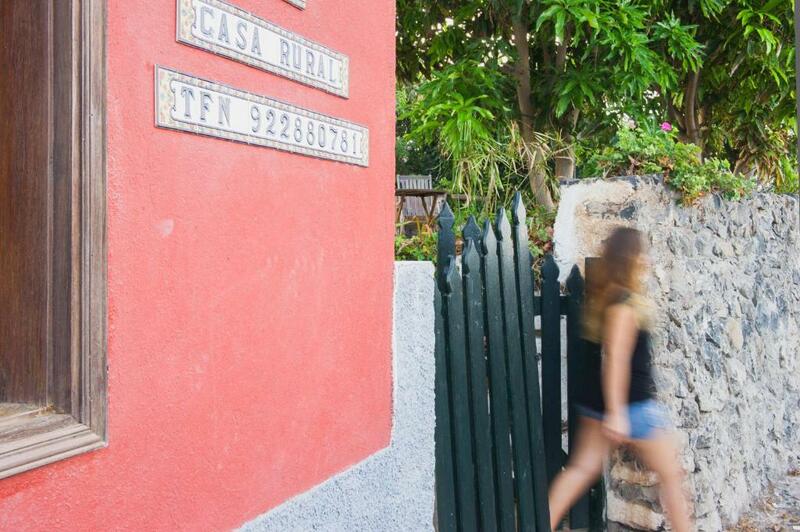 Walking distance from El Faro - lovely restaurant, excellent food and very welcoming and Bar Piloto for Wednesdays! Also, street lighting most of the way, only used torches for a short section by beach. Comfortable house in stunning location. Lovely garden with views over to Tenerife and Mount Teide. Loved watching the sunrise from the terrace. Lock in a great price for Villa Delfines – rated 8.9 by recent guests! One of our top picks in Agulo.This charming, traditional Canarian house has been turned into 2 attached villas. 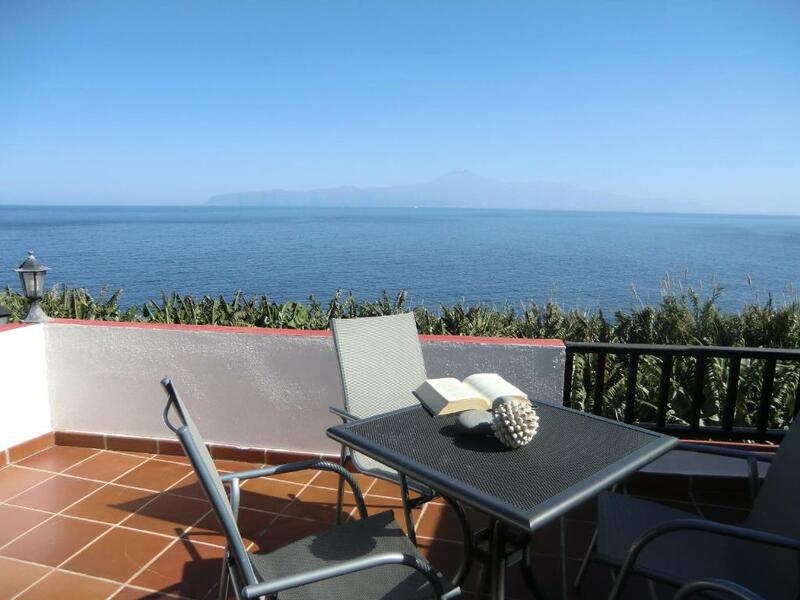 They offer wonderful views of the sea, Tenerife and Mount Teide, and have a sun terrace and barbecue. Casa Los Delfines is located in the small, quiet village of Lepe, just 2,650 feet from Santa Catalina Beach. Each of the Los Delfines villas has a lounge-dining area, a kitchen and a bedroom. The kitchen contains a microwave and fridge, as well as a ceramic stove. The interiors feature stone walls and wooden beamed ceilings. This property also has one of the top-rated locations in Agulo! Guests are happier about it compared to other properties in the area. When would you like to stay at Villa Delfines? 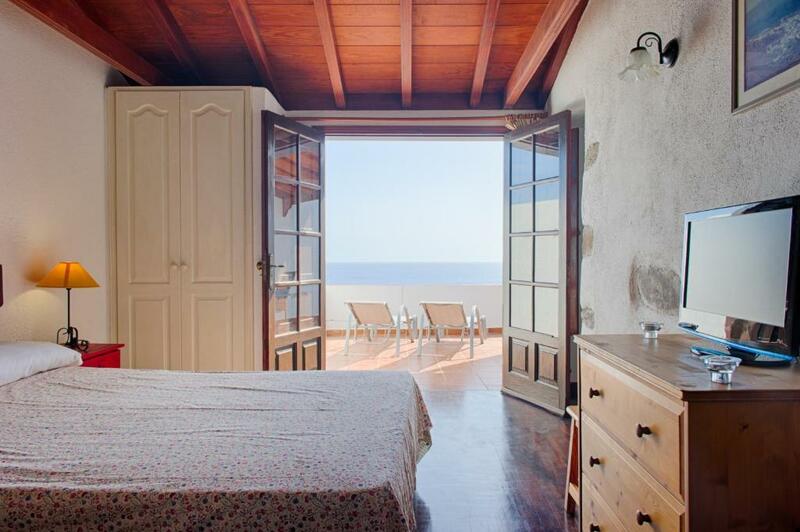 These traditional Canarian-style villas enjoy sea views. They have a lounge-dining area, a kitchen and a bedroom. They also have stone walls and wooden beam ceilings, as well as a TV. House Rules Villa Delfines takes special requests – add in the next step! Villa Delfines accepts these cards and reserves the right to temporarily hold an amount prior to arrival. Keys can be collected in the safe box by the entrance of the villa. Please note you will need to pass the office afterwards to fill the check-in forms. The apartments share laundry facilities with the villas. Please inform Villa Delfines of your expected arrival time in advance. You can use the Special Requests box when booking, or contact the property directly using the contact details in your confirmation. There were no toilet rolls at the property, which could have been a problem as most guests coming from Tenerife airport would not be able to arrive until long after the shops had closed. We think that this was probably an oversight rather than policy. A bottle of water would also have been appreciated. A bit remote, though to be fair I must say that's partly its charm. So if you stay at Los Delfines, prepare to eat in a good deal. You'll want to do that anyway so you can fully enjoy the gorgeous view of Teide. The location is absolutly perfect!!! Found the approach road to the village of Lepe a little tricky. Although the kitchen was generally well equipped it lacked a corkscrew and an ice cube tray. We had some difficulty checking in as the keys had not been left in the key safe. This was sorted out but our check in was delayed by an hour or so. Bed linen and towels were poor quality and past their best. We didn't like the narrow stairs between the first and second floors. We didn't like the limited light on the first floor where the kitchen and living room area is. We spent most of the time in the bedroom upstairs which has great views of the sea. The phone signal is rather weak inside the house. I am wondering whether this can be improved by the management of the villas or is an issue due to the location. Instructions on locating property - we got to Lepe easily but then had to wander about for quite a while to find the property. Website should stipulate Villa A or B. 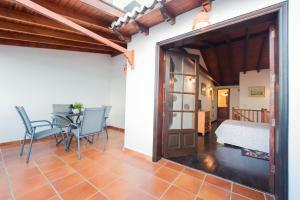 Only Villa A has direct access to the garden and Villa B has limited afternoon sun on sun terrace. We had difficulty accessing garden - I think gate had been double-locked by people in Villa A. Kitchen needs updating, smelt very foisty when arrived or had been out for a few hours. Needs a little bit of tlc,crockery out of reach to me, and my husband, who is quite tall, struggled a bit. Eg, Some smaller bowls for instance. Who wants to eat fruit and yogurt from a giant IKEA pasta bowl! Uostairs sink leaking, reported this at Los Telares and maintenance man sent next day to to repair it. But he put bowl from that leak under kitchen sink waste pipe when he left as it turned out that sink had an even worse leak!